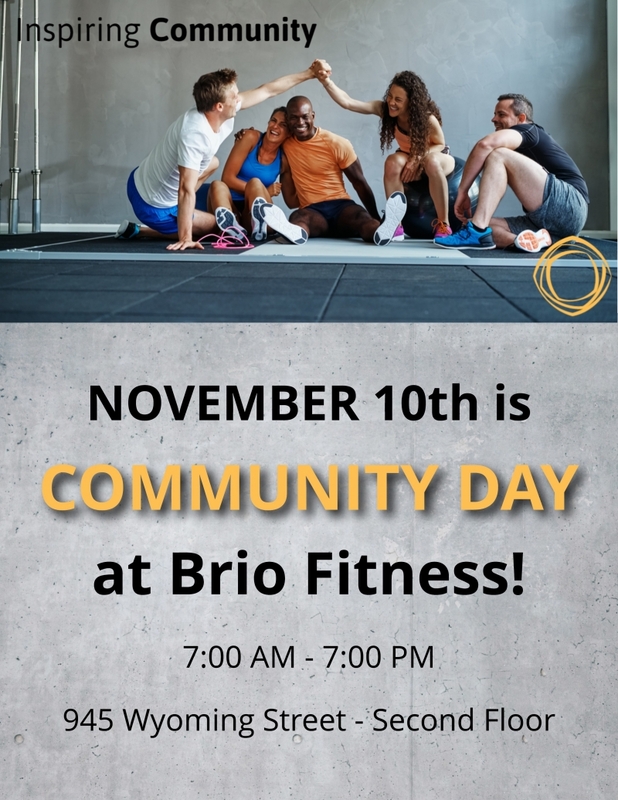 Join us on November 10th for Community Day at Brio Fitness. 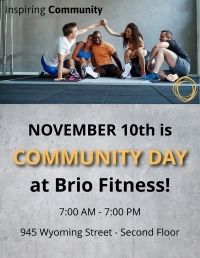 Come in and try out the gym for FREE all day! Our membership coordinators will be there all day to answer any questions you may have regarding memberships, classes and more! We will have an assortment of classes throughout the day so you can try something new (for free!) and you may have the opportunity to chat with a trainer! We will be open from 7am to 7pm on the second floor of Cambium Place. See you there!